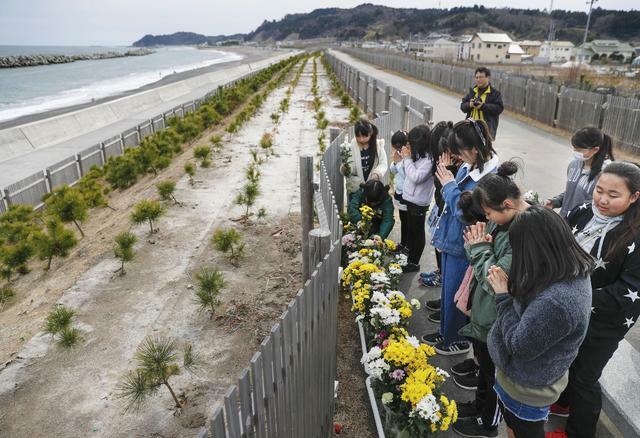 14 Mar 2019 — As Japan marks the eight-year anniversary of the catastrophic earthquake and tsunami that claimed some 22,000 lives, a new study suggests it could still be having a serious impact on the nation’s health. The disaster caused by the killer wave at the Fukushima Daiichi nuclear power plant has been linked by the research to a significant spike in infant heart surgeries. While not a single death has been definitively attributed to radiation exposure from the leaks at the Fukushima plant, the study found the number of surgeries for children under the age of one with complex congenital heart disease, or CHD, spiked by more than 14 percent. The study was led by Kaori Murase, an associate professor of natural sciences at Nagoya City University in central Japan, and published on Wednesday by the American Heart Association. According to Stanford Children’s Health, CHD, is the most common birth defect and usually has no identifiable cause. “Complex” CHD involves a combination of heart defects that cause either too much blood, or too little, to flow into the lungs or other parts of the body. Even after multiple surgeries, symptoms can afflict a patient throughout their life. The earlier abnormalities appear during the eight-week process of heart development in unborn babies, the more severe the damage generally is. “Our study suggests that a nuclear accident might increase the risk for complex congenital heart disease,” Murase said, noting that the data suggest a catastrophic release of radiation anywhere in the world could precipitate similar problems. For a four-year period beginning in 2011, the number of heart surgeries jumped by 14.2 percent in children under the age of one, compared to the four years prior to the disaster. That number remained unusually high throughout 2014. It is unclear if the rise was triggered by the radiation from the nuclear accident, or the stress of the tragedy on women of childbearing age. The panicked and disorganized evacuation following the Fukushima accident, loss of loved ones and family homes, break up of communities and general disruption of daily life were cited, as well as a possible rise in diabetes related to the evacuation. While her analysis ends in 2014, Murase believes infant CHD remains high even today. The analysis was done using data from the Japanese Association for Thoracic Surgery, which tracks nearly all CHD surgeries performed nationwide — in effect, a near-complete patient population survey. The study lacks breakdowns by location, individual data, and level of radiation exposure; and since CHD often requires multiple surgeries, the 14 percent rise does not reflect the incidence of CHD, just the actual surgeries performed. The study found no significant rise in CHD in children older than the age of one. Murase said the Nagoya University findings were consistent with a suspected rise in CHD after the Chernobyl nuclear accident of 1986. She cautioned that the study does not prove radiation caused heart disease in infants, but it does suggest a link. On March 11, 2011, a Magnitude 9 earthquake struck northeast Japan. More than 22,000 people were killed or left missing. The tsunami flooded the Fukushima Daiichi nuclear plant, damaging three nuclear reactors and triggering multiple meltdowns and explosions that released radiation over a large area. It was one of the worst nuclear accidents in history. Japan continues to struggle with decommissioning the crippled nuclear reactors at Fukushima, a task expected to take decades. Despite assurances that most of Fukushima is now safe to live in and radiation levels have dropped to normal, the population of Fukushima prefecture, or state, is still down 8.4 percent from before the disaster. In the former no-go zones exposed to radiation around the nuclear plant, less than a quarter of residents have returned.